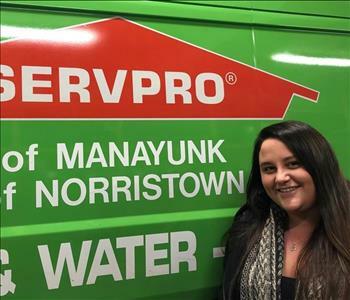 Maggie is our Office Manager at SERVPRO of Manayunk and Chestnut Hill and can be contacted by calling (215) 482-0800. She supervises company compliance and Human Resources. She sets company policies, follows up on them, and makes sure that employee files are accurate and up-to-date. Maggies also runs accounts payable and helps with the everyday scheduling of crews and job sites. Jessica is our Estimator at SERVPRO of Manayunk and Chestnut Hill. She deftly employs the Xactimate software to produce estimates of damages. Jessica has a great working rapport with insurance companies and often communicates findings on jobs with their insurance adjusters. She is always in contact with our production managers documenting all details of their work performed. 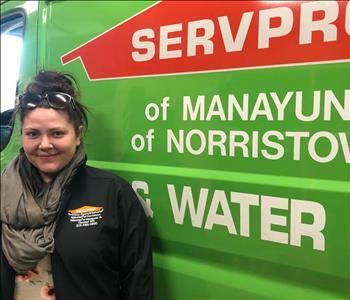 Jessica has worn several hats at SERVPRO since she joined our family in 2013. Noelle is an Office Administrator at SERVPRO of Manayunk and Chestnut Hill. Answering the phones and submitting incoming jobs are part of her duties. Noelle interfaces skillfully with our customers even as she works on scheduling, billing, and job status. She communicates with insurance adjusters providing job standings and all relevant documents. Noelle performs all other general office duties such as managing accounts receivable and helps with our social media presence. Noelle enjoys participating in local events. Rick is our Sales Manager at SERVPRO of Manayunk and Chestnut Hill where he actively increases our footprint in our service area. He is involved in many local events from passing out turkeys or Christmas trees, to donating pallets of water to our local Fire Department. He interfaces with many local charities and associations as he increases our business which also benefits our communities at large. 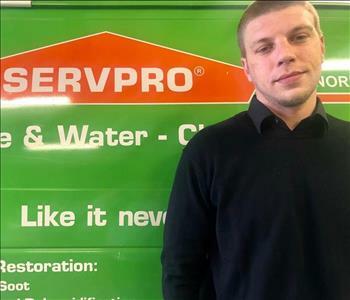 Sal, has been at SERVPRO of Manayunk since 2016 even as he studies corporate communications at PSU. He is staying in his field by working with us as a sales and marketing rep SMR. Sal hails from Springfield and hopes to expand his role at our franchise to full-time status eventually. 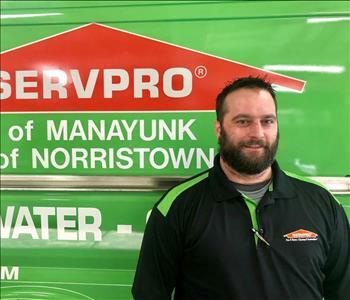 Dan is an SMR Sales and Marketing Representative at SERVPRO of Manayunk and Chestnut Hill. Dan does his magic in both our franchise territories and offers our services to a wide array of commercial clients. He actively participates in trade associations, and charitable agencies to both offer our great services and to help our neighbors. Just give Dan a call for your commercial or residential cleanup and restoration needs. 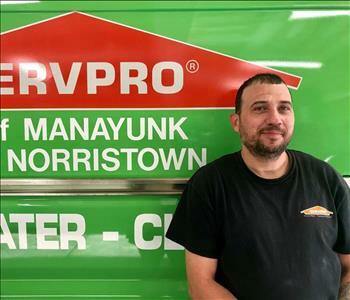 Jason, as our Reconstruction Manager at SERVPRO of Manayunk, has many responsibilities. Job completion is the culmination of scheduling projects, quality control, code and contractual compliance, and leading by example. 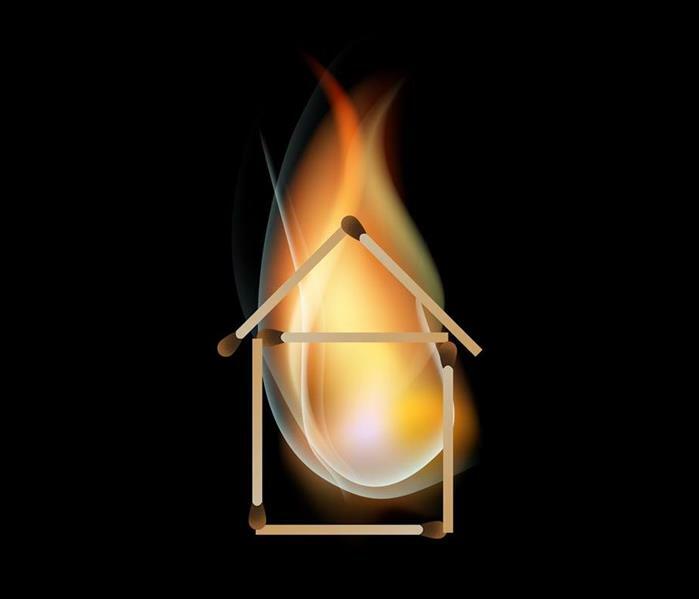 Jason can handle and direct water, fire, mold, and storm cleanup, restoration and rebuild. 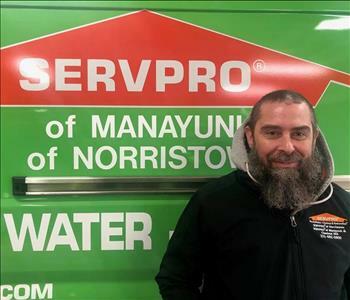 Travis is our Reconstruction Foreman at SERVPRO of Manayunk and Chestnut Hill. He supervises the re-building of damaged areas in homes and commercial properties after our crews have completed the remediation service. His experience as a class-A carpenter with highly skilled talents, makes our customers feel "Like it never even happened." or even better. Travis was raised in Philadelphia, PA and currently lives in Delaware County. 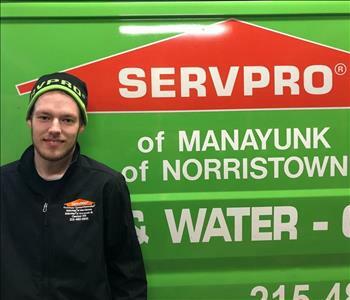 Tyler is a Production Manager at SERVPRO of Manayunk and Chestnut Hill and has relocated from the New York area to work with our franchise. He is IICRC certified in WRT water restoration. Tyler, since 2015, has developed his skills in the restoration industry and now helps train technicians and leads them into our tasks of water damage restoration. 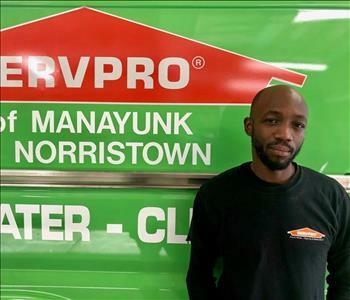 John is a Production Manager at SERVPRO of Manayunk and Chestnut Hill and is an important addition to our workforce. He is IICRC certified in WTR water mitigation. John demonstrates excellent leadership ability and the desire to learn all aspects of this industry. We are happy to have him aboard. John loves spending time with his other family when he can, his wife and three kids. 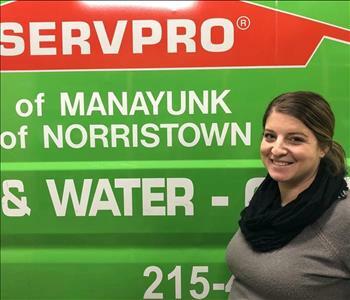 Dana is a Production Manager at SERVPRO of Manayunk and Chestnut Hill. He has a strong working knowledge of the cleanup and restoration industry and has several IICRC certifications. Among them are WRT water, FSRT fire & smoke, AMRT applied microbial remediation, and OCT odor control. Dana is local from the Bridgeport area of PA. Prior to becoming a key SERVPRO team member, Dana worked for several years doing duct cleaning and sanitizing and carpet cleaning. Dana is a welcome addition to our team. 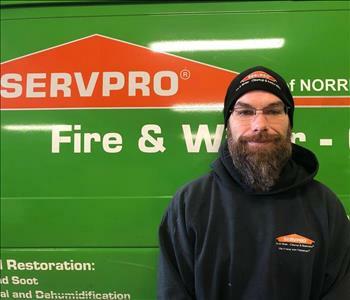 Eric is a Production Manager at SERVPRO of Manayunk and Chestnut Hill since 2017. He has been a great edition to our team and has developed his skills rapidly in the restoration industry. He is IICRC certified in WRT water damage and FSRT fire and smoke damage restoration. Eric hails from Philadelphia and enjoys helping customers as he works with our crews. 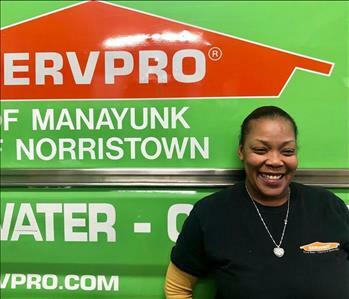 Yvonne is a Production Technician at SERVPRO of Manayunk and Chestnut Hill. She has been a valuable member of our team since 2016. She focuses on content inventory and content cleaning, especially after fire and smoke damage. She is a very skillful carpet cleaning, and her talents include water and mold damage cleaning. "Like it never even happened." Yvonne resides Norristown, PA with her family. 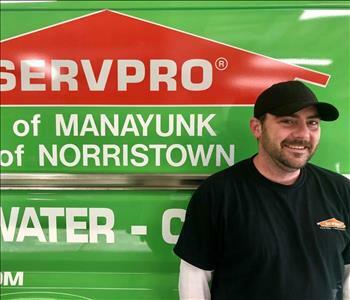 Bruce is a Production Manager at SERVPRO of Manayunk and Chestnut Hill since 2008. He is IICRC certified in WRT water damage, and AMRT applied microbial remediation. Bruce is RRRP certified, lead-based paint removal which is crucial to our area and is also a certified tech in crime/ bio scene clean up. Bruce is experienced and certified in content pack out/cleaning. He is very knowledgeable in all areas of the field, works hard, and often trains/teaches other members of our production team. Lynn is a Production Technician at SERVPRO of Manayunk and Chestnut Hill. He has been with our team since 2016 and lives in the Norristown area. Lynn is a skilled carpet cleaner (CCT), and detailed terminal cleanings. He supports the production managers with their day to day needs to maintain schedules. Lynn keeps an inventory of our products, keeps our equipment in good condition and even sets it up at job sites. 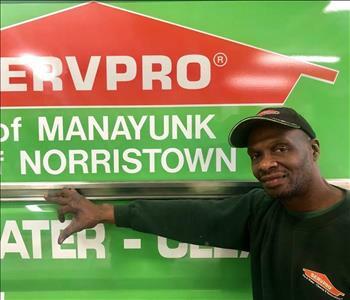 Frank is a Production Technician at SERVPRO of Manayunk and Chestnut Hill. He assists in maintaining our Green Fleet of company vehicles along with equipment and supplies. Frank helps the production managers and crews on job sites and steers any customer concerns, questions, or issues back to them guarantee that we always take care of our clients. 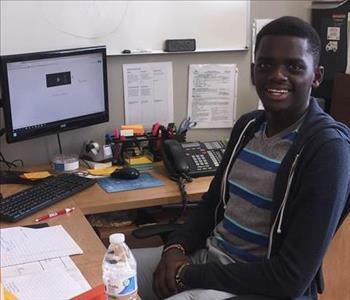 Francis Waweru has joined the SERVPRO of Manayunk team as an intern. Francis contacted our owner Brian about sponsoring his DECA team. The team placed first in Districts and won the chance to compete at the state competition. 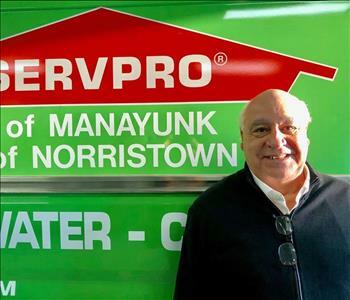 SERVPRO of Manayunk was happy to support the team as a sponsor. 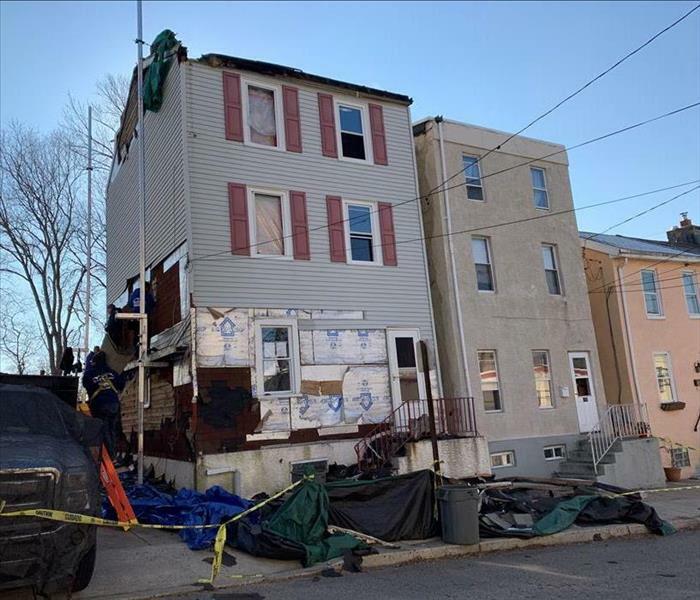 If your Manayunk or Philadelphia area commercial or residential property experiences a loss from fire, smoke, water or mold damage, our highly trained team of restoration experts can respond quickly to limit the damage.